Looking for a professional quality Christmas lights installation in Woodbridge this year? We’ve got you covered. Not only will your home look festive, our LED Christma s lights save you money in energy. 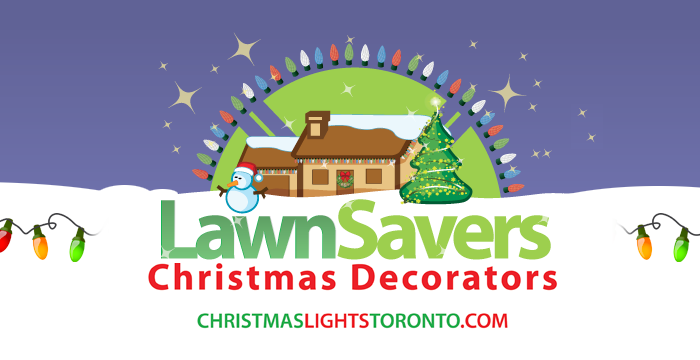 According to Toronto Hydro, LEDs use up to 97% less electricity than traditional Christmas lights. For one string of lights, this translates to one dollar providing you 15 hours from incandescent lights versus 15 days from LED lights. Let’s assume your Christmas lights are in use for six hours daily, for a total of six weeks. If 10 strings of bulbs are used, the cost of electricity will amount to $264 for incandescent bulbs, but only $1.08 for 10 strings of LEDs! We specialize in custom fit LED Christmas lights for homes and businesses in Woodbridge. This means we measure each roof area and custom fit the length so there is no loose wire hanging around or jumping from roof line to roof line causing an unkempt appearance or hazard. 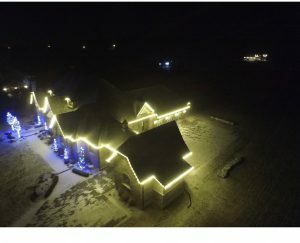 Unfortunately, store bought lights don’t allow us this customization or flexibility that has become our hallmark of professionally applied lights that stand out from the crowd.